The face is red but the heart is black: Cameron’s strategy is to say one thing and do something entirely different. Neither Caerphilly MP Wayne David nor the rest of the Labour Party should take seriously David Cameron’s posturing over social housing, as demonstrated in Prime Minister’s Questions today. He’s wrong. A tax is a compulsory contribution to state revenue, levied by the government against a citizen’s person, property or activity, to support government policies. So the ‘state underoccupation subsidy’ – a phrase only coined within the last few months and a measure that will only come into force in April – is a tax, as it is levied against property occupied by citizens of the UK to support government policies. That is the financial argument – and the fact is, this is no laughing matter. But dreaming up a way of taking money from the poor, simply for the privilege of continuing to live in their own homes, is treating the symptom and not the cause. Mr Cameron makes no attempt to ask why the government is having to spend more on housing benefit because that might reflect badly on his government, its policies, and the fatcat business executives it supports. 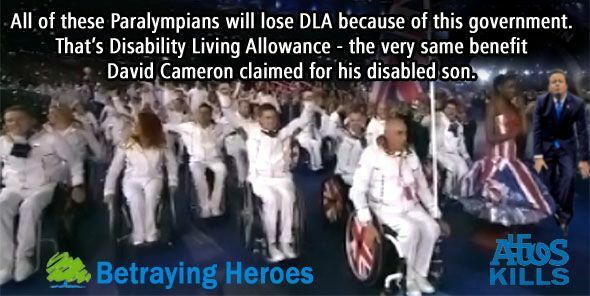 Housing benefit is paid to people who are unemployed or disabled. Why are they unemployed? Because of a recession that followed a global economic crash, caused by high-paid banking executives, perhaps. Has Mr Cameron’s government penalised the banking executives? No. Their bonuses are secure. Housing benefit is also paid to people who are in work but on low incomes. More than nine-tenths of all new housing benefit claims are made by citizens who fall into this category. This means they aren’t being paid enough by their employers to cover all their costs. Isn’t this an indictment against Britain’s business leaders – that they are not willing to pay a living wage for an honest day’s work? Has Mr Cameron’s government stepped in to seek better pay for employees? No. The comedy Prime Minister takes great pleasure in crowing about employment increases but refuses to examine the damaging small print. And housing benefit, ultimately, does not go to the occupant but goes to the landlord instead – and landlords will continue to receive their full rent, no matter how unjustified the amount or unfit the accommodation. Social landlords, as I have learned to my own cost, are particularly poor at resolving problems. The bedroom tax therefore cruelly impoverishes people who are already on the bread line, using the threat of eviction as the stick with which to beat them. Has the government done anything to dissuade landlords from charging rents that are too high on properties that are not up to scratch – like capping rents? No. This government believes that such action would be unjustified interference in the market. This is probably the most misleading of all his comments as it attempts to hide a policy his own government is actively pursuing at the moment, and vigorously – the sale of social housing. According to the BBC, more than 2,000 tenants took up the government’s Right to Buy discount scheme during the last three months of 2012, after the government quadrupled the discount to a maximum of £75,000. 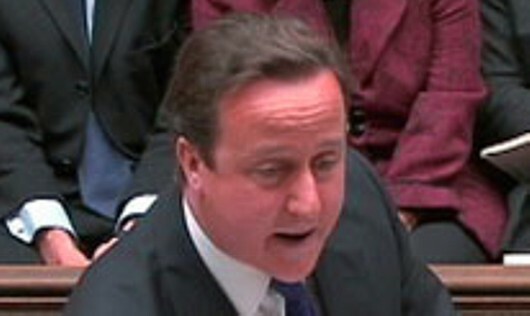 Mr Cameron is selling off social housing and then complaining that there isn’t enough! It’s typical of Conservative Party policy: Say one thing – do another. NHS U-turn would be right choice – but for wrong reasons? 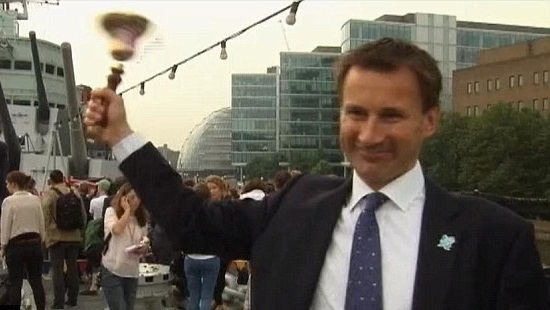 Ringing the changes: Jeremy Hunt, pictured a split-second before events proved there are TWO bell-ends in this image. Fellow blogger Sam Bangert just published his latest article, in which he quotes reports in the Telegraph and the Guardian that the government is preparing to withdraw its new regulations that open up the NHS to “compulsory competitive markets”. It seems that Statutory Instrument 257, that would have seen the demise of the English National Health Service as anything other than a brand name, may be scrapped before it has a chance to wreak the devastation that so many of us fear. That’s a good thing. The regulations were being brought in under section 75 of the hated Health and Social Care Act 2012, under a process known as ‘negative resolution’. This meant there would be no debate or vote; they would become law 40 working days after they were introduced. In order to fight them, Labour MPs would have had to ‘lay a prayer’, calling for a debate to take place. If they are withdrawn willingly by the government, there’s no need for all that rigmarole. But there is a very good reason for us to remain extremely suspicious about this affair. This is not because it’s yet another government U-turn. Yes, we have the most indecisive, vacillating administration in recent British history, but at least in this instance it is doing the right thing. Having heard Health questions in the House of Commons this morning, one has to wonder whether it is for the right reasons. You see, comedy Secretary of State for Health, Jeremy Hunt, knocked back not one but two questions from Labour MPs on this very issue, claiming that the new regulations were nothing more than what Labour would have done. “Mr Jamie Reed (Copeland) (Lab): “The hon. Member for Ealing Central and Acton (Angie Bray) asked a key question. Under the secondary legislation being introduced by the Secretary of State under section 75 of the Health and Social Care Act 2012, local commissioning groups will be forced to allow private providers into the NHS. These private providers will be exempt from the Freedom of Information Act, which will make it harder for patients to compare data between providers. It cannot benefit NHS patients for core clinical services to be given to private providers that do not have to conform to the same standards of transparency as those in the NHS. Will the Secretary of State see reason, ensure a level playing field for the NHS and withdraw the section 75 regulations without delay? “Paul Blomfield (Sheffield Central) (Lab): “On 13 March 2012, the former Secretary of State said of the Health and Social Care Bill:“There is absolutely nothing in the Bill that promotes or permits the transfer of NHS activities to the private sector.”—[Official Report, 13 March 2012; Vol. 542, c. 169. 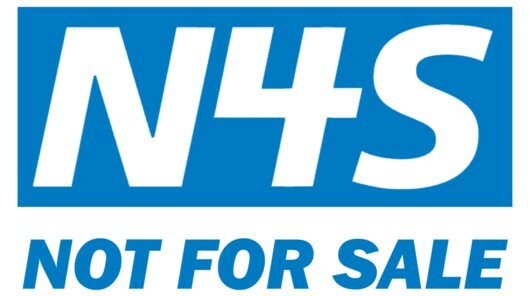 ]However, the new NHS competition regulations break those promises by creating a requirement for almost all commissioning to be carried out through competitive markets, forcing privatisation through the back door, regardless of local will. Will the Secretary of State agree to make the regulations subject to a full debate and vote of both Houses? If one thing is perfectly clear from these exchanges, it is that the well-known Misprint was not going to be corrected! If you are re-reading that, thinking to yourself, “What just happened?”, you’re not the only one! 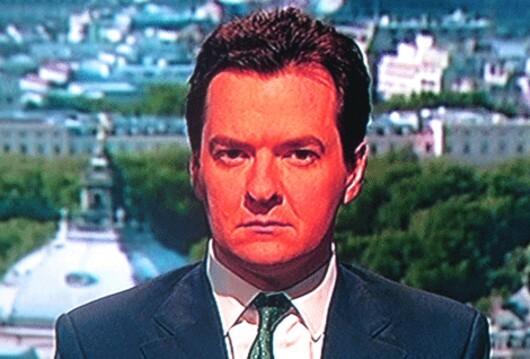 Mr George added nothing to what the Labour members had said – nothing at all. Yet Mr Lamb’s attitude was a complete, utter and ludicrous reversal of his Secretary of State’s. Is this some ridiculous attempt to make it seem that the Coalition is still strongly united? Is it some bid to show that, no matter what the result of the Eastleigh by-election, they’ll still be friends, working together “for the good of the country” (if anyone still believes that)? At its lowest level, is it an attempt to show the Liberal Democrats that they are still relevant to British politics? If so, then it should fail, precisely because the only points made by the Liberal Democrat member had previously been made by Labour. If the Conservatives try to say the decision was changed because of the Lib Dems – as the Guardian seems determined to suggest – then we should laugh them out of the Commons chamber. The House of Lords: The more one hears of the debates there, the more one is impressed by them. One side of them, at least. For example the debate on the Benefits Uprating Bill, that took place on Tuesday, including a fascinating interlude by Lord Bach, in which he made explicit the meaning of the government’s planned withdrawal of Legal Aid for benefit claimants. 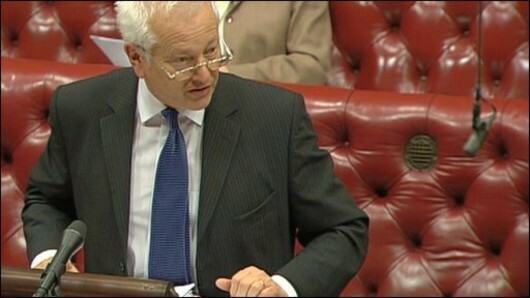 The government claims the intention is to save money, but Lord Bach (pictured) made it perfectly clear that there will be no saving at all, in the end. One is left with the only possible alternative – that this vindictive government of millionaires intends to make it impossible for the poorest and most vulnerable in society to seek legal redress against cruel and unwarranted decisions that will withdraw from them the money they use to keep themselves a hairs-breadth away from destitution. It is a decision to attack the poor for the fun of it. “What is so often left out of the arguments about welfare reform… is what potential real remedy the citizen will be left with if the department’s [of Work and Pensions] decision is wrong. Surely the fact that it is wrong in many cases is not in question. We all know that, with the best will in the world, decisions made by the department are often wrong and very much to the disadvantage of those who want to claim them. “For a long time, this has not been a pressing problem. For those requiring legal advice on their benefit entitlements, Legal Aid has been available – if, of course, these people came within the criteria for Legal Aid, and many did. “For a small amount of Legal Aid, quality advice has been available, having the effect of both stopping – this is important in cost terms – hopeless claims and establishing good claims where appropriate. It is a system that worked. Putting it at its highest, it has allowed access to justice for all. “At a slightly lower level, it has meant that tribunals have not been faced with an impossibly large number of cases, many of which should never have been brought in the first place. 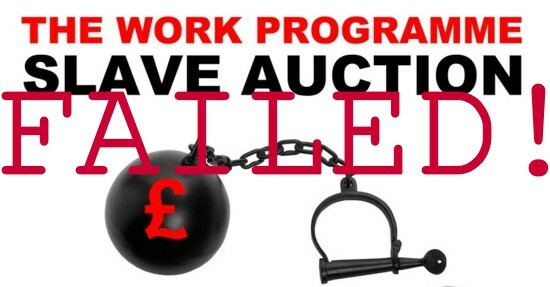 “It has cost a fraction of the total Legal Aid budget and is paid to lawyers who are not by any standards well paid. Yet from April 1, as a deliberate act of government policy, this legal help will no longer be available for anyone in cases relating to welfare benefit entitlements. “Thus, people will not be able to get the advice to which they are entitled. Their access to justice will be gone. The department will get away with wrong decisions and tribunals will be overburdened with what I can only describe as rubbish cases – all to save £25 million per year on welfare benefit advice. “That is one-tenth – I repeat, one-tenth – of the amount set aside by the Department for Communities and Local Government so that there can be weekly rather than fortnightly collections of rubbish. Is this really a proper sense of priorities for a time of austerity? 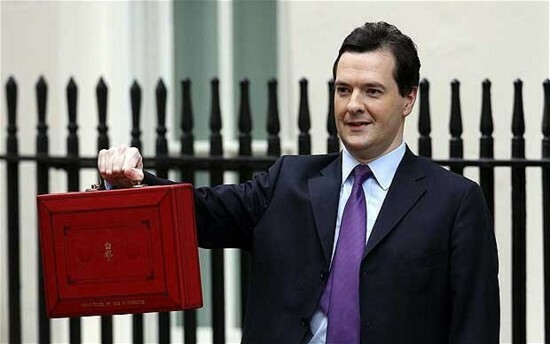 “Further, everyone who knows anything about this agrees that this is not likely to be a saving at all in the end. We all thought the Tories would be left heartbroken after the Hunting Act took away their favourite extracurricular pastime. It seems they have found another blood sport to replace it. This week the Labour Party will be launching its formal defence of the National Health Service, after the Coalition government stealthily slipped a “negative resolution” to enforce privatisation onto the books before the Parliamentary recess. The resolution, as mentioned in a previous Vox article, will force clinical commissioning groups (CCGs) in England to introduce competition to provide all services for which it is practical (in other words, almost everything), whether or not they believe it to be in the best interests of all concerned. Its arrival means either the government lied when it gave the promise that neither the Health Secretary nor Monitor would be allowed to force health commissioners to put services out to competition, or it has decided to break firm, formal promises, written by Andrew Lansley in a letter and spoken on the record in Parliament. Labour’s Shadow Health Secretary, Andy Burnham, has announced that the party will ‘lay prayers’ against the resolution in both Houses of Parliament, and will fight “tooth and nail” to defeat it. He has repeated his firm, unambiguous commitment to repeal the 2012 Health and Social Care Act as a priority once Labour is back in government, and to restore the lead on the commissioning of health services to local government. If Labour win the next General Election, he will reintroduce a preferred provider policy that will allow genuine NHS organisations to be named as the providers of choice, thus ensuring that the NHS remains, at its core, a public institution. This will restore the NHS to leadership of health service provision, alongside local government as the commissioning lead. But by that time much irrevocable damage will have been done, so concerted interim action is needed – and it is heartening that CCGs in Haringey and Bristol are already leading the way. In Haringey, the CCG has been persuaded by campaigning organisation 38 Degrees to adopt amendments to its constitution, ensuring that they will only invite competition to buy services where “necessary or appropriate”. 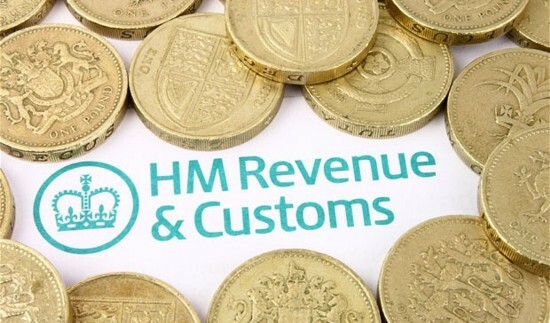 Contractors/providers must be “good employers” – be reputable, meet tax and NI obligations and keep to EO legislation. Other amendments exclude companies convicted of offences, and prohibit companies that use improper tax avoidance and off shore schemes. That is just the start of the battle for the NHS – but it’s a good one, and an example that can be taken forward. Haringey has accepted that there is a case for arguing that awarding tenders to private providers will cause genuinely public structures to atrophy as funds are taken out of the public health economy and turned into private profits. This would be to the long-term detriment of the NHS, meaning an award to a private bidder is worse value, even if the headline price is lower. If you are in England and concerned about the decline that the government’s negative resolution will instigate, why not get in touch with your own local CCG, ask them to examine the actions of their colleagues in Haringey, and politely request that they go and do likewise? Expect much more on this issue in the future. It will be published here as it becomes available. Is this the way to get through to Iain Duncan Smith? Someone just posted a story on the Vox Facebook page, that should be familiar to many of you. He was quoting a person whose cousin was on disability benefit, dying of liver failure. The DWP stopped her benefit and she had to appeal against it, enduring eight weeks of “worry, hopelessness and grief” before dying two days before her family received notification that her appeal had been granted. This is not an unusual story. 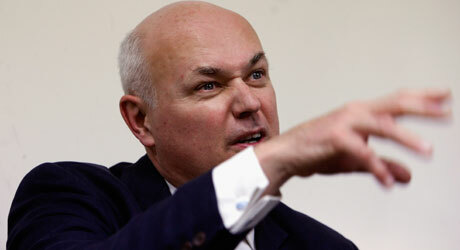 In fact, it is the behaviour we have come to expect from the department run by Iain Duncan Smith. He puts innocent people, who deserve their disability benefits, through physical and mental hell, and then they die. He then puts their families through the emotional hell of knowing that their loved one should never have had to go through that terrible process. But Iain Duncan Smith is supposed to be a member of the Roman Catholic Church with strong religious beliefs. The Bible (2 John 10-11) says, “whosoever transgresseth, and abideth not in the doctrine of Christ, hath not God”. I’d say the Secretary of State for Work and Pensions is a repeat transgressor in the most satanic way. So why doesn’t somebody have him excommunicated? In Catholicism, excommunication is a “medicinal penalty” intended to invite the person to change behaviour or attitude, repent, and return to full communion. After all, everything else has failed.